During his term, President Abraham Lincoln took a stand against issues facing the country, but after his assassination, it was up to the citizens of the United States--and people around the world--to take a stand to preserve what they saw as Lincoln's legacy. From speeches and protest, to celebration and mourning, see how different people took a stand as the Civil War ended. President Lincoln's funeral train schedule was publicized in newspapers to allow citizens pay their last respect, as his body traveled through various cities in 1865. Funeral services were held in cities along the train's route, and in locations that were not on the train's schedule. These items show how memorial services, and public viewings were held to honor the slain President. 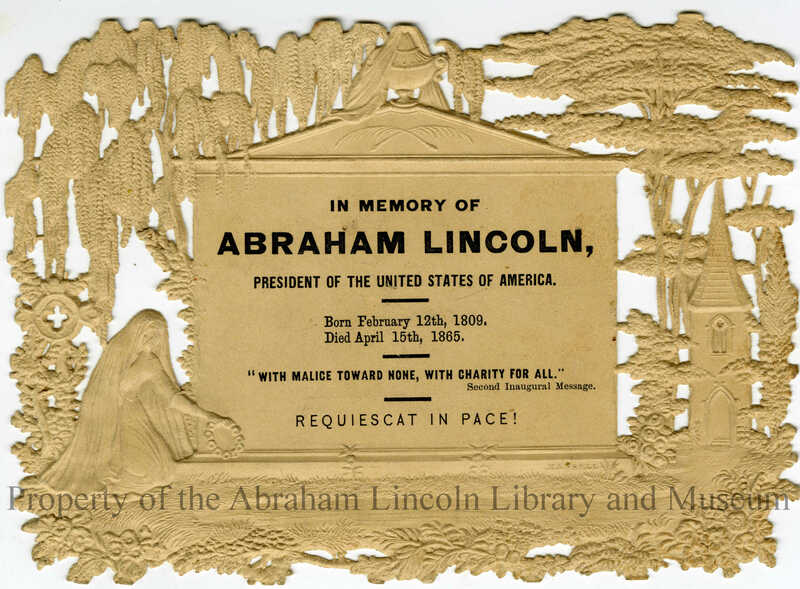 After the death of President Lincoln, memorial cards were produced and collected across the United States. From carte de visite to post cards, these items show a range of cards made to honor Lincoln's memory. While citizens across the country expressed sorrow and grief over the assassination of President Lincoln, these items reveal how children grieved the loss of the slain president. 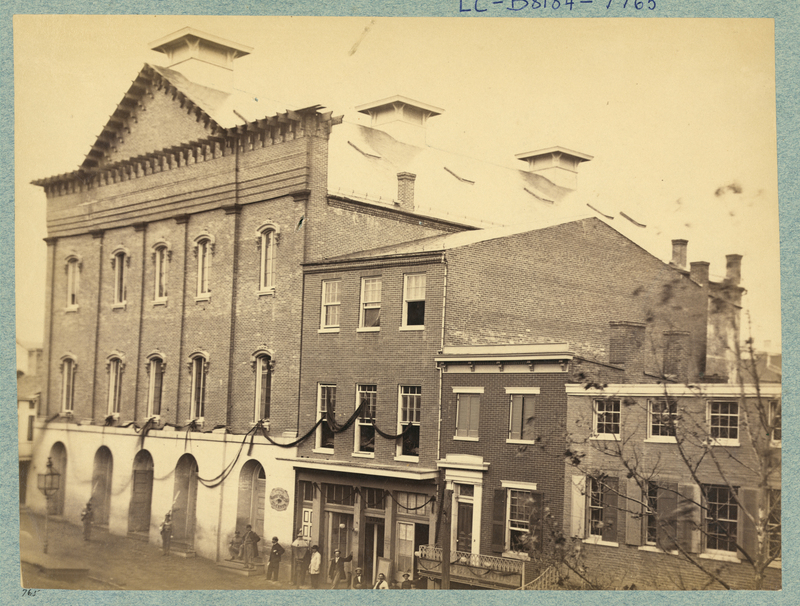 The news of President Lincoln's assassination on April 15, 1865 unleashed mass mourning in the nation. 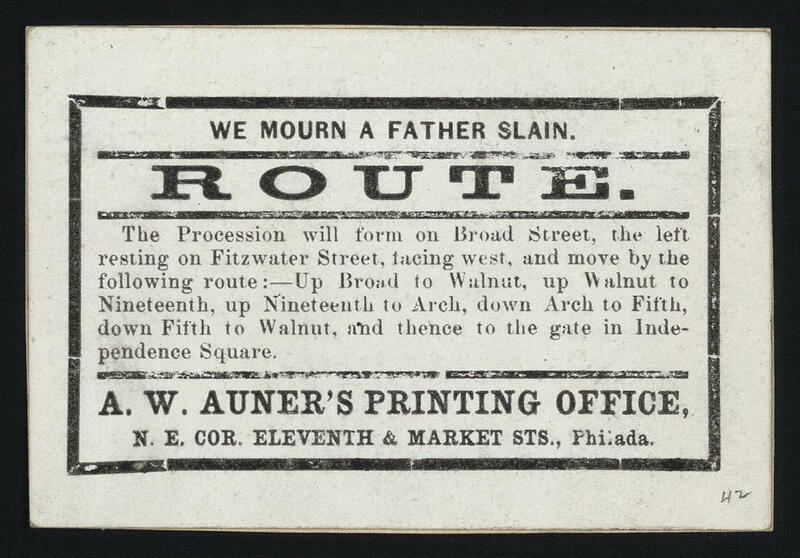 To express grief over the President's death, mourning ribbons were printed and worn by sympathizers. 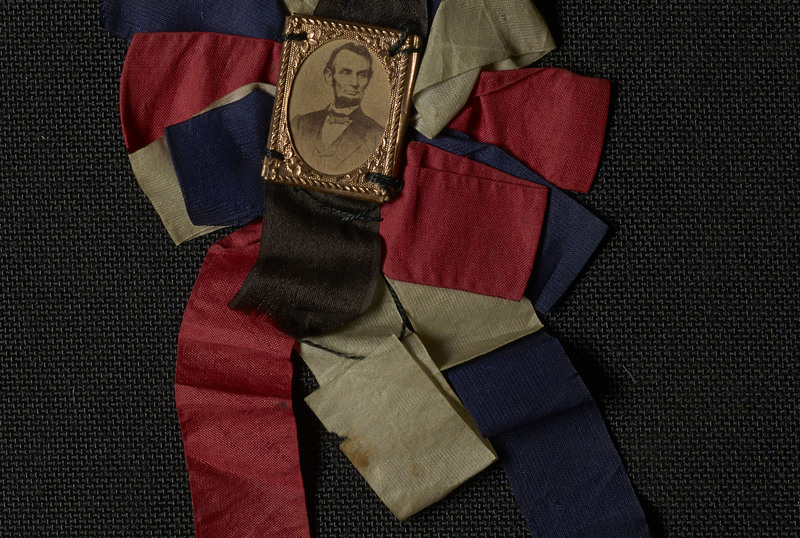 This collection consists of assorted ribbons made to honor Abraham Lincoln. 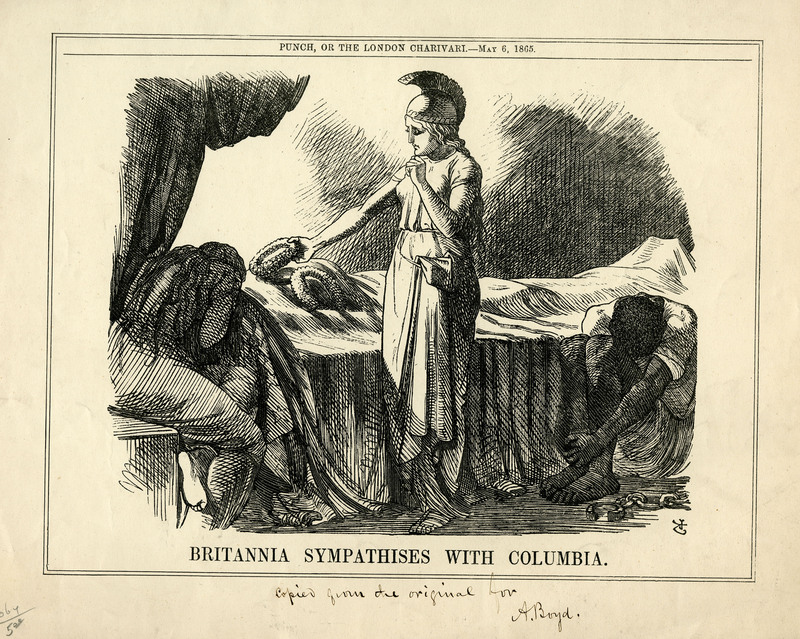 Following the news of Lincoln’s death in 1865 condolences began to pour in from foreign leaders, organizations and private citizens across the globe. 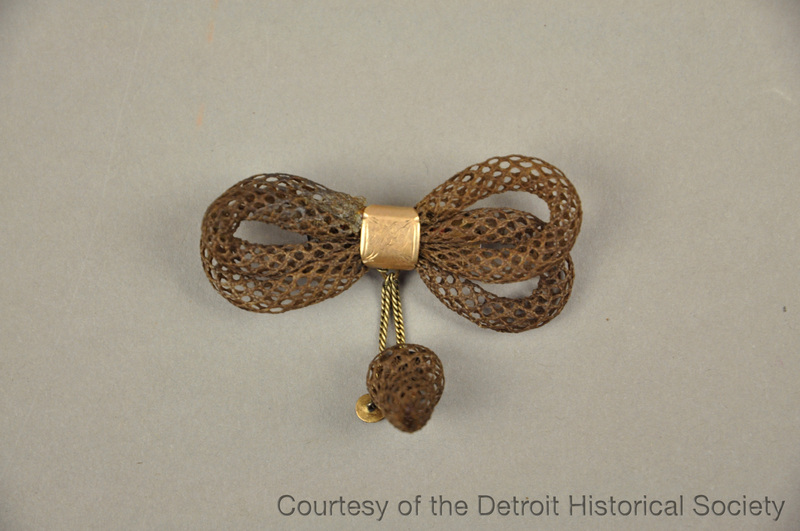 These items show how people across the globe expressed grief and sympathy at the news of President Lincoln’s death. 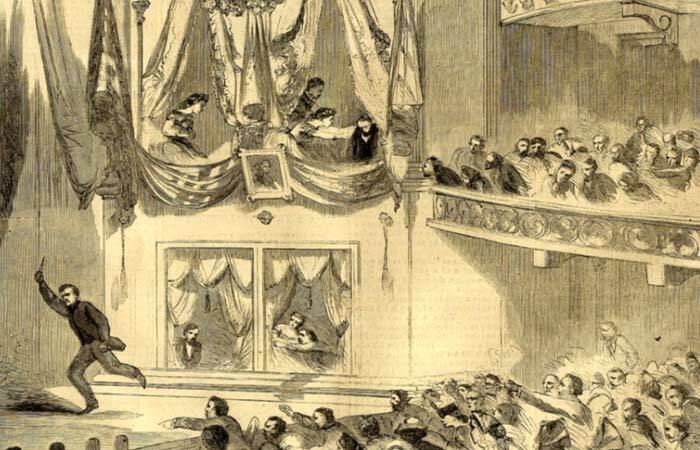 President Abraham Lincoln's funeral was one of the most elaborate the United States had seen. The funeral train left Washington on April 21, 1865. After traveling around the northern part of the country, the train arrived in Springfield, Illinois, where the slain president was buried on May 4, 1865. These items show what happened at some of the stops along the way.